Screen resolution is limited to no higher than 1280×1024. Frame rate is capped at 3 frames per second. Both workarounds have their limitations – thus I would like to show you both of them. When you change the Service to an Automatic (Delayed Start) it will not directly run after the VM booted. 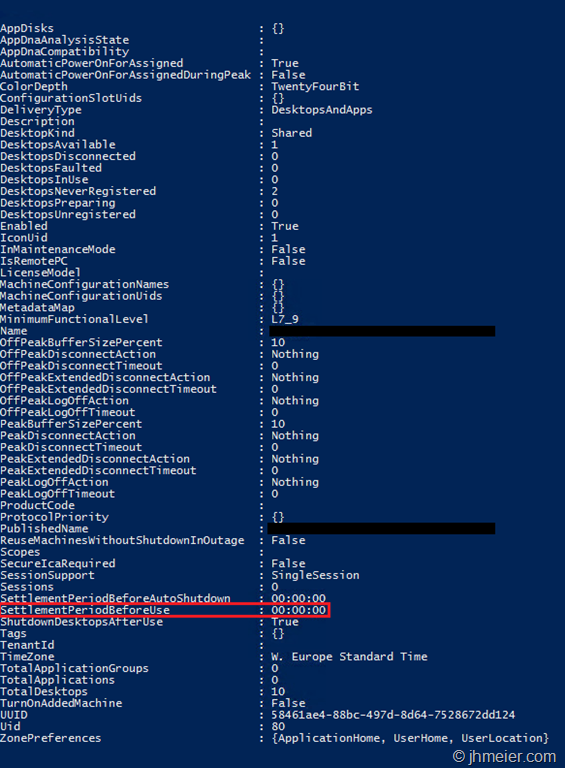 This has the result that the VM is later registered at the Delivery Controller – it has time to check out the required NVIDIA license – before the Delivery Controller will broker a session to the VM. 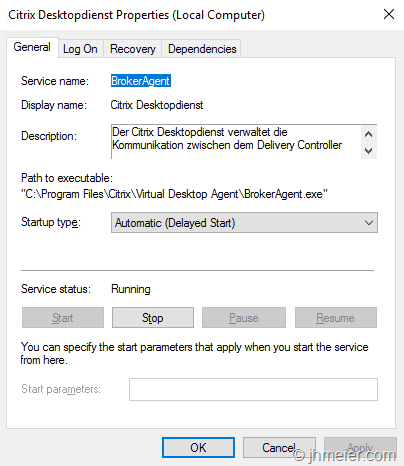 To change the service to an Automatic (Delayed Start) open the Services Console on you master image (Run => services.msc) and open the properties of the Citrix Desktopservice. Change the Startup type to Automatic (Delayed Start) and confirm the change with OK.
Now update your VMs from the Master Image and that’s it. The VM should now have enough time to grab a NVIDIA License before it registers to the Delivery Controller. The downside of this approach is that with every VDA update / upgrade you need to configure it again. Instead of doing this manually you can run a script with the following command on your maintenance VM before every shutdown. This command changes the Startup type – you cannot forget to change it (Important: There must be a space after “start=”). Alternatively, you have the possibility to configure a Settlement Time for a Delivery Group. This means that after the VM has registered to the Delivery Controller no sessions are brokered to the VM during this configured time. Again, the VM has enough time to request the necessary NVIDIA license. Howerver, this approach also a down side – if no other VMs are available users will still be brokered to just booted VMs although the Settlement Time did not end. 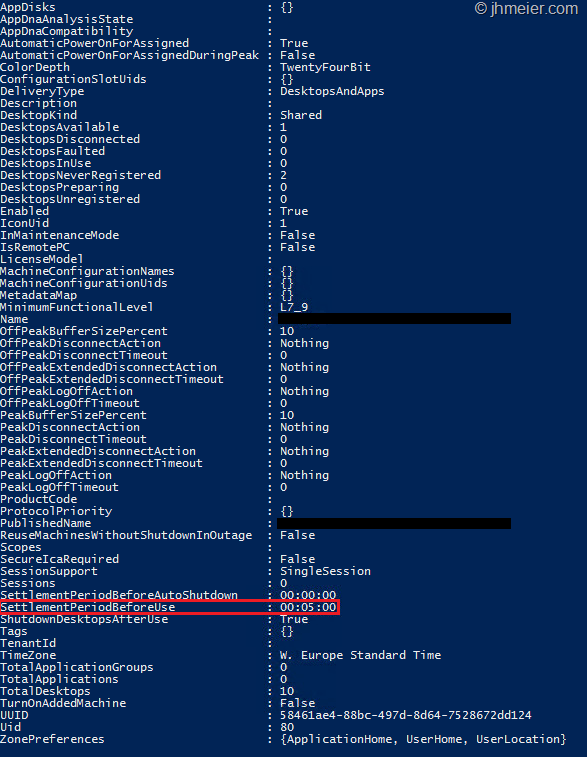 This means if you didn’t configure enough Standby-VMs to be up and running when many users connect they still might be brokered to a just booted VM (without a license). You now get some information’s about the Delivery Group. 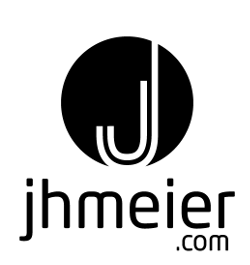 The interesting point is the SettlementPeriodBeforeUse in the lower area. By default, it should be 00:00:00. With the above setting, the Settlement Time is changed to 5 Minutes – do not forget to replace the Delivery Group Name with the actual one. If you now again enter the command to see the settings for your Delivery Group you will notice that the SettlementPeriodBeforeUse was changed. After creating, you must restart the VM (and update your Machine Catalogs if it is a Master-VM). Honestly I wasn’t able to test this last solution by myself – so I can’t tell if this really fixes the issue all times or only mostly…. That’s it – hope it helps (and NVIDIA will completely fix this issue in one of their next releases).